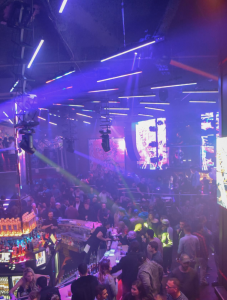 TAO Group is taking over Atlanta’s iconic nightclub Tongue & Groove during the Big Game weekend ahead of the New England Patriots and Los Angeles Rams showdown. 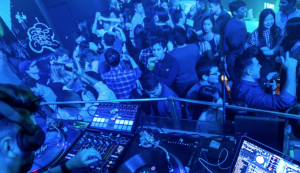 As TAO Group descends on Atlanta from Thursday, January 31 to Saturday, February 2, an incredible lineup of performances will set the stage for the ultimate party featuring sets by DJ Irie, DJ Vice, Chantel Jeffries and DJ Spade throughout the weekend, and a special performance by Sheck Wes on Friday night and Rae Sremmurd on Saturday night. TAO Group’s Big Game Takeover is sponsored by Element Electronics, Tequila Avión, Remy Martin, Cintron and Zen. In addition, Owen’s Craft Mixers and TAO Group will host two, pre-game cocktail parties on Friday, February 1 and Saturday, February 2 at Tongue & Groove ahead of the official parties. 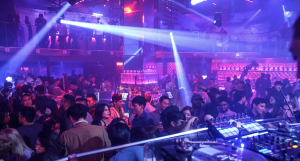 And on Sunday, February 3, following the Big Game, MADE presents Greystone Sundays straight from Los Angeles, teaming up with TAO Group to take over Tongue & Groove with sounds by DJ Drama and surprise guest performers. For tickets, table pricing and information about TAO Group’s Big Game Takeover presented by Tongue & Groove, please visit taogroup.com/superbowl or visit Tongue and Groove online at www.tandgonline.com. Tongue and Groove is located at 565 Main Street in Lindberg City Center, just off Piedmont Road in Buckhead. Call Tongue and Groove at 404.261.2325 and stay connected online at www.tandgonline.com, on Twitter and Instagram at @toungeandgrooveatl and on Facebook at www.facebook.com/tandgonline.